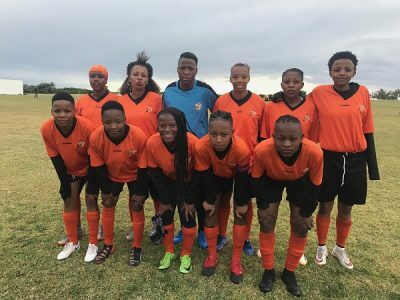 The University of Johannesburg women’s team maintained an unbeaten record to emerge as champions at the end of the University Sport South Africa football tournament in Port Elizabeth last week. UJ topped their group and clinched the title when they defeated Tshwane University of Technology (TUT) on penalties in the final. All the matches were played at Nelson Mandela University. Coach Jabulile Baloyi said afterwards that UJ had set themselves a goal ? to improve on the fourth position they had achieved last year. A number of elements had contributed to their success, she added. “The first thing is that we were extremely disciplined on and off the field. “The unity in the team was also strong and we kept telling ourselves we were capable of winning the title. “The whole group believed it and we were always motivated to make sure we achieved more than last year. Baloyi said their work ethic extended beyond just the players, with the management team playing a critical role behind the scenes to ensure the squad remained focused. Striker Amanda Mthandi played a big part, scoring nine goals during the tournament. “She was the top goal-scorer and was named player of the tournament,” said the coach. Dineo Magagula was also outstanding and was named goalkeeper of the tournament. Playing in group C, the team drew their first match but won the remaining three pool games before entering a tense play-off situation. “In the semifinals we came up against University of Western Cape and won on penalties after the score was 1-1 at the end of regulation time,” Baloyi said.